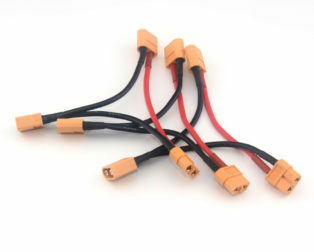 The is SafeConnect XT60 Harness for 2 Packs in Parallel. 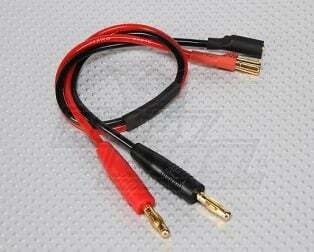 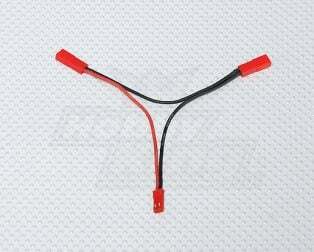 This harness is for charging/discharging batteries with XT60 plugs. 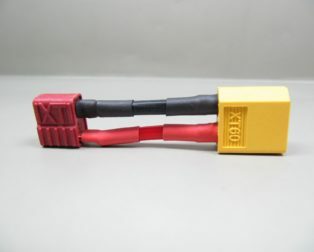 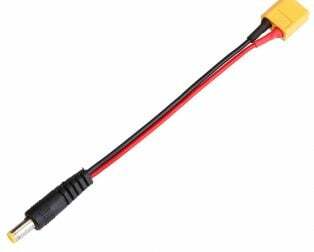 These are widely used Li-PO battery connectors XT60 with 14AWG Silicon Wire 10cm makes the connection between the battery and charger easier. 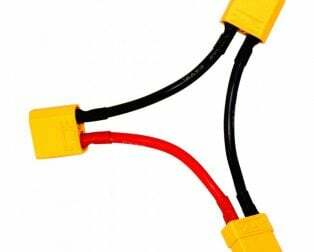 These are heavy duty cables, great for projects that involve bigger and High power batteries, such as our high-power Orange LiPo Series. 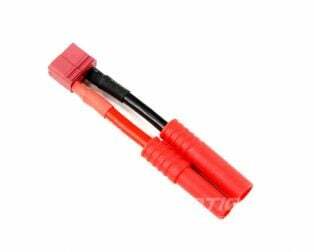 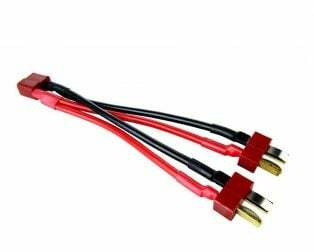 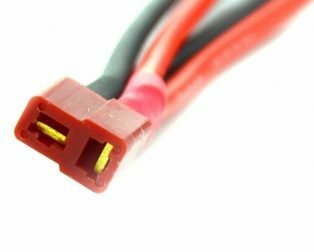 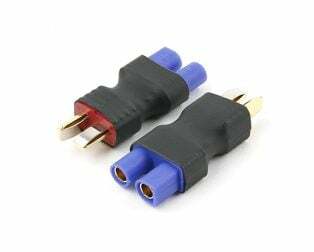 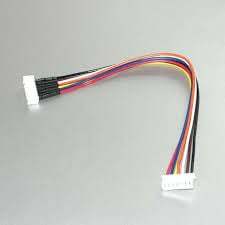 This connector with 0ne XT60 female at one end and Two XT60 male on other end are suitable for high power batteries which are useful in RC helicopters, quadcopter, plane, and cars. 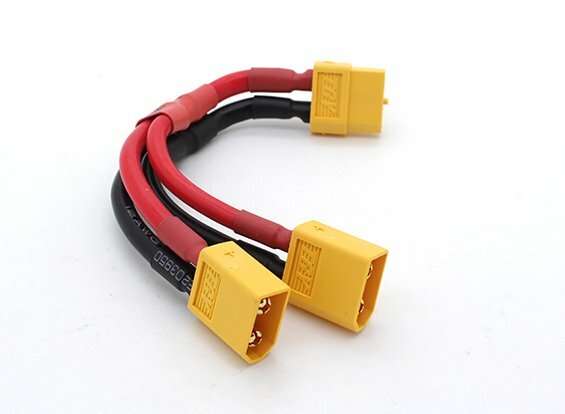 They ensure high amp connections. 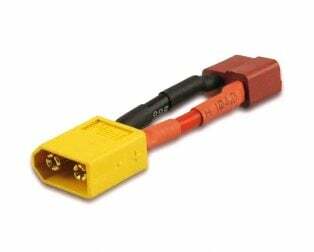 Must have for connecting two lipo batteries in parallel. 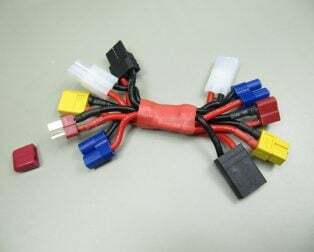 Safeconnect T-Connector Harness for 2 Packs in Parallel-1Pcs. 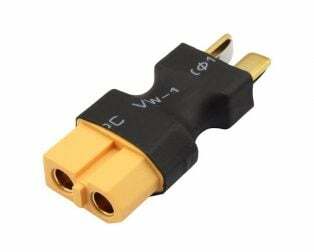 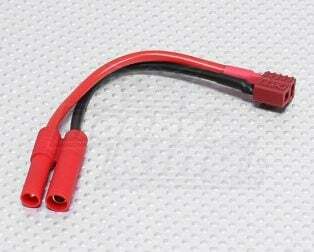 JST-XH 3S Wire Extension 20cm-2pcs.